Kahiau Design Group LLC is the partnership between an architect and a structural engineer - Wayne R. Morimoto, AIA and Todd Palani Dwight, S.E. Both men were born and raised in Hawaii and, over their 20+ years of experience in their respective fields, have developed reputations for excellence. Although their experience spans across the Hawaiian Islands, and includes commercial, hospitality and residential projects, the vast majority of it has been focused on luxury residential homes on the Big Island’s Kohala Coast. 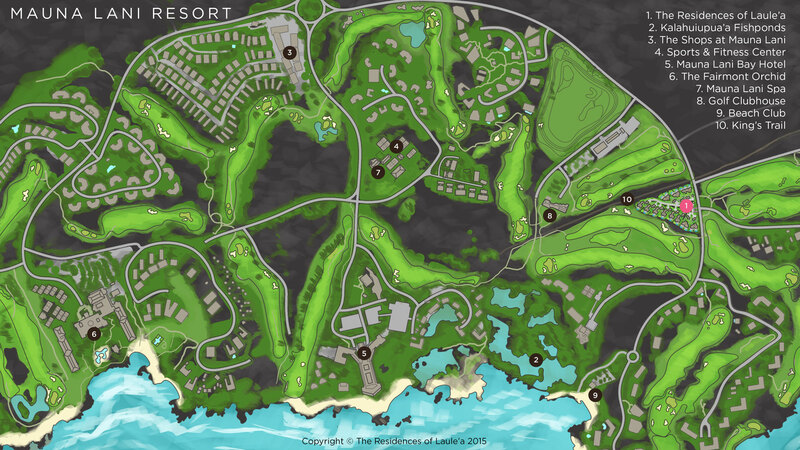 They have worked on many of the most exclusive resorts and custom homes on The Big Island. MacArthur Sotheby’s International Realty is island heritage with international flair. MacArthur is the proven luxury property expert on the Big Island of Hawaii with local roots that go back for generations and an unmatched global marketing network. Both buyers and sellers benefit from MacArthur’s in-depth knowledge and vast experience. The Residences of Laule’a is proud to be working with Molly Harris and Patrick Harris of MacArthur Sotheby’s International Realty. Together, Molly and Patrick bring over 20 years of experience in luxury real estate and high-end resort sales. Maryl began building luxury homes in Hawaii 25 years ago. From the beginning it established a reputation for quality and integrity. Each Maryl home is a testimony to thoughtful design that embraces the idyllic Hawaiian climate and lifestyle. Maryl’s quality makes each home a reward for owners and guests to experience. This level of quality takes extraordinary people who are passionate about their work, as well as management passionate about its people. It is noteworthy, then, that for many years Maryl been the largest privately held company to be awarded the #1 Company to Work for by Hawaii Business. Founded in 1857, Carlsmith Ball LLP has grown into a full-service international law firm with offices throughout Hawaii, Los Angeles and Guam and approximately 100 lawyers. Carlsmith Ball has been at the forefront of legal services in the Pacific. A few achievements include: the first woman partner (1888), providing legal services to the first Hawaiian condominium project, and it is the only Hawaii-based law firm with offices throughout the Pacific and the Mainland. Today, Carlsmith Ball serves as a one-stop source of legal services and strategic counsel for Fortune 500 companies, small and mid-size corporations, banks, institutions, individuals and government at all levels. The Residences of Laule’a is pleased to have Steven S.C. Lim and Rodd H. Yano assisting on all phases of this development. LunaKai Hawaii LLC is a leading specialty electronics design and integration company for Hawaii's luxury residences. With more than twenty years of industry experience in integrated technologies, partners Clark and Wendy Kucera embarked on creating a company that provides innovative and customized solutions for their discerning clientele. Their focus of blending technology with their clients’ lifestyles helps to create the ideal atmosphere for island living. LunaKai Hawaii’s success as a respected integrator draws on a winning combination of detailed planning, the utilization of quality equipment, effective communication and a team of highly experienced technical specialists. Their collaborative approach allows them to offer a comprehensive suite of services and an unmatched level of expertise. Laulea.ca (the “Website”) is owned and operated by The Luxus Group (“Luxus”). Any use of the Website or its contents or both is subject to the following policy. The Luxus Group is a professional management company connecting lifestyle benefits with financial rewards. Luxus was established in 2007 with its inaugural division Luxus Vacation Properties, a Luxury Real Estate Private Equity Group. Luxus Developments was launched in 2013. The collection, use and disclosure of personal information are a critical part of our business. Protection of all information collected is of the utmost importance to us. By becoming a registered Partner or Owner in a Luxus product or service (i.e. Luxus Vacation Properties Limited Partnership). By filling out a form on our website (laulea.ca) so that we contact you as a broker, potential buyer, or to keep you informed. By personally requesting information on our Company, contacting us via email, phone or in-person or by providing your contact information through an organized networking event or activity. By contacting us via email, phone or in-person. Requesting information through a current Luxus Limited Partner (i.e. Referral). Log data consists of IP addresses and information generated by cookies, and other details about a visit to a website, such as the time of the visit and the type of Web browser used. Log data is collected passively and is not personally identifiable. Log data collected supply us with aggregate information about the number of visits to different pages on our site. We use this information only to improve our site and service. Google AdWords - A tracking cookie is placed on your browser after clicking on an ad. We use this to measure conversion and review performance of our ads. This cookie does not disclose a user’s personal information. Google Remarketing – A cookie may be placed on your computer which helps us serve our ads to you at a later time. These ads will be served using cookies on third-party sites in the Google Display Network and when you search on Google using the keywords associated with our site. When creating a remarketing list, we will not use sensitive information about visitors or create ad content with implied knowledge of personally identifiable or sensitive information. Users can opt-out of this feature and manage their settings by using Google Ads Settings. Data from Google’s Demographic & Interests Reports is used with Google Analytics to better understand and market to our audience groups. The information collected is anonymous and does not provide us with personally identifiable information. It is our policy never to disclose personal information to any third parties, except as it relates to the delivery of service. Personal information will only be used by an authorized representative of Luxus for the purpose of contacting you, as long as you maintain an interest in receiving those communications. If at any point you do not wish to receive our communications, you will be removed from our database. What is your broker license number? What brokerage do you represent? Please provide the brokerage address. Supply your email address and we'll keep you up to date. Do you currently own a property in Hawaii? On which island(s) do you own? Have you previously owned property in Hawaii? On which island(s) have you previously owned property in Hawaii? How did you hear about Laule'a? Heard from 'Other', please elaborate. How many times have you visited the Big Island in the past 5 years? What type of unit would you be interested in? How much time each year would you expect to stay at your Laule'a home? Would you plan to rent out your Laule'a home? Approximately what price range would you be looking to buy in? Do you plan to finance your home? 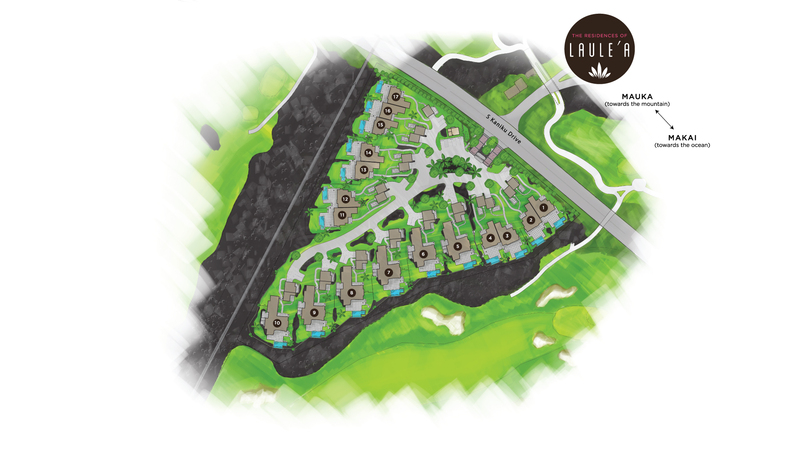 Supply your email address and we'll keep you up to date with news concerning The Residences of Laule'a. By supplying your email you are consenting to our sending you messages from time to time. We know your time is valuable so communications will be limited to approximately one per month. You can unsubscribe directly from our email communiques and your email address will never be abused or sold.